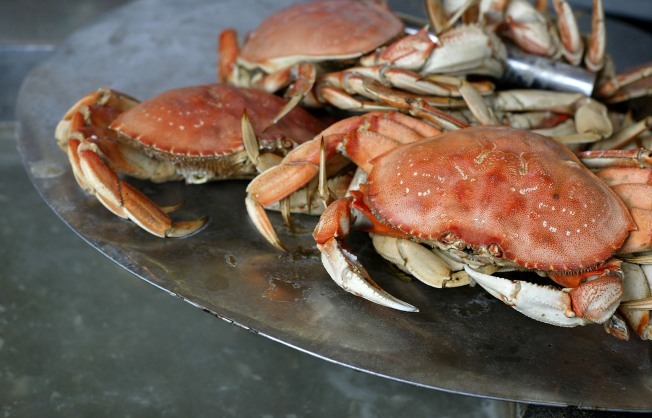 Get some local Dungeness crab while the getting is good -- it's unlikely you'll be able to find much other local seafood. If you want local fish, you'll probably need to get a job at Google -- or be willing to pay for a meal at Alice Water's Chez Panisse. That because with declining output from local fisheries, most of the seafood that Bay Area residents consume comes from China, Alaska, Mexico and even the Atlantic. Local abalone, grass shrimp, petrel sole, sand dabs, rock fish, sturgeon and sardines are increasingly harder to find, with the bulk of local seafood only available from the seasonal Dungeness crab fishery and local shellfish farms. What is left either goes to Google, the largest purchaser of local, organic produce in the state, or to expensive restaurants like Chez Panisse. Otherwise, you'll have to catch it yourself. Depending on your perspective, blame can be cast on regulators, overfishing, pollution or dams and irrigation. To illustrate, currently a fight pits salmon fishers against grape growers over how much water should continue flowing down the Russian River, and how much should be diverted to vineyards to protect vines against the recent frost. And news from the fight over a shellfish farm in Drake's Estero has the California Coastal Commissionasking Kevin Lunny of the Drakes Bay Oyster Company to move some clams that were seeded in a protected area. Lunny says the mistake was an honest one, and accused the CCC of picking on him as he lobbies officials to extend the farm's lease to operate on National Park Service land. And while it stretches the definition of "sustainable" to fly fish around the world to the Bay Area, even Waters admitted that she has to rely on Gulf shrimp from time to time. Jackson West thinks someone could make a killing farming tasty trout and sturgeon nearby.